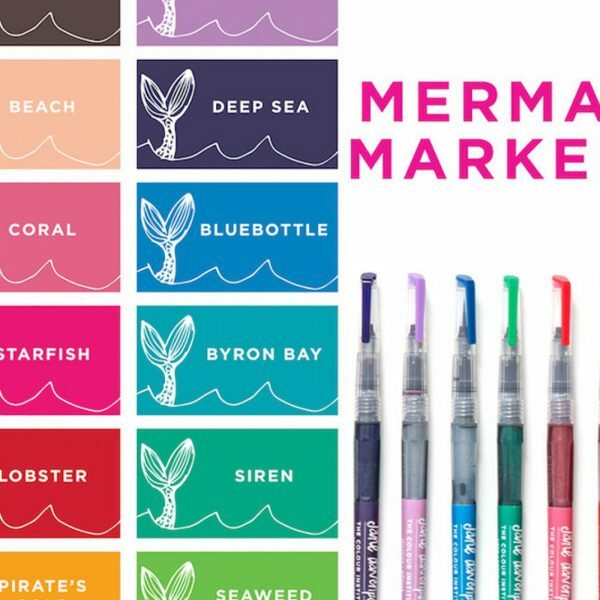 Jane Davenport mermaid markers are pre-filled with vivid dye-based inks. Categories: Mermaids, Supplies, Ink, Markers, Jane Davenport Mixed Media. 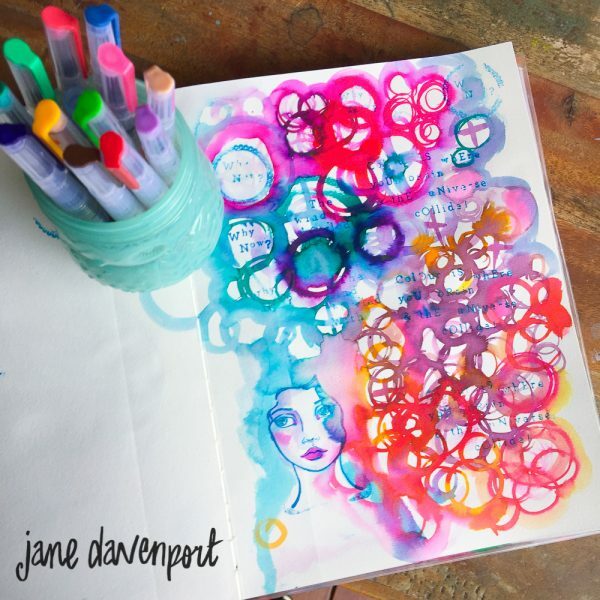 Tags: art journals, art supplies, artist watercolors, jane davenport, jane davenport mixed media, mermaid markers, michaels, michaels mixed media, water brushes. 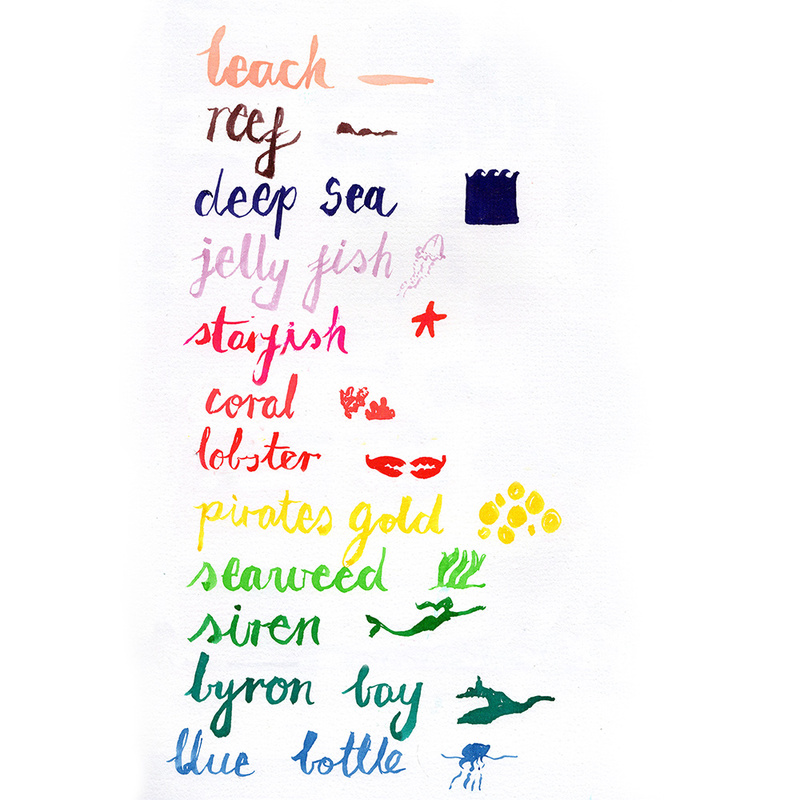 Shake your ‘Beach’ Mermaid Maker gently before use for the full benefit of the ink colour! 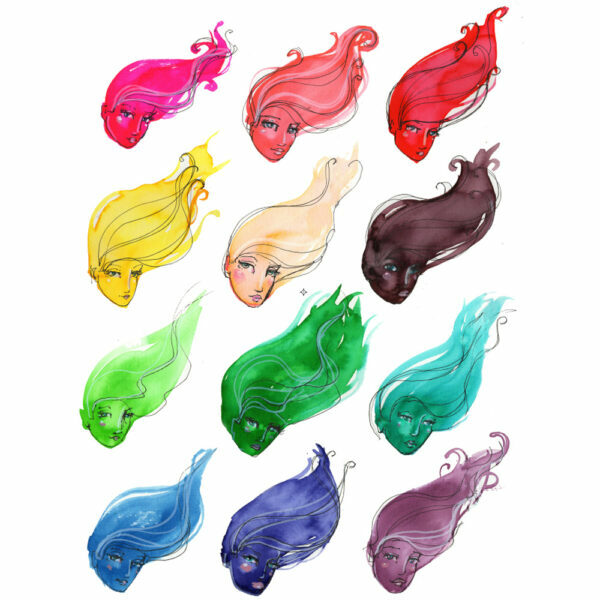 These little mermaids swam into my post box today…… What took them so long?! It was love at first sight! They are so rich and pigmented and the colours are to DIE for! Whoever doesn’t have them, They are an absolute necessity! I purchased these today after watching several videos of people using them. I absolutely LOVE them! I find these easier to use then my expensive water colors. It’s so vibrant and pigmented. Can’t wait to try more products! Would recommend these to anyone! Wow! I just bought these today and I don’t know why I waited so long. These are beautiful, so very vibrant and so easy to use. I love the way they work and I noticed that they don’t bleed through the paper. I just need to know…what is the best way to store them? These are so pigmented that it is amazing!! 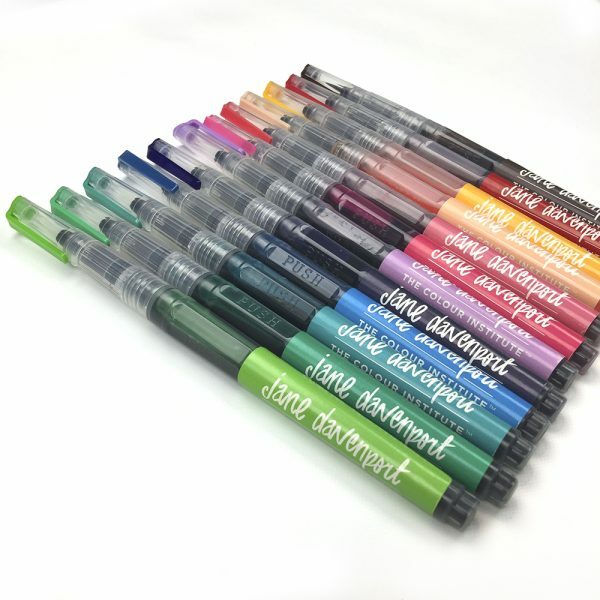 I love working with these pens; they are useful, versatile, and did I say pigmented?! Vibrant colors, wonderfully portable, but discreetly NOT lightfast. These colors are gorgeous and work well when reactivated, even though the areas that are reactivated do slightly change color. It’s an odd effect, by can be used effectively if looking for a more chaotic and detailed look. But, not using water will give you solid colors without detail, so you will probably want to use with waterbrushes. I plan on taking them on vacation because of their portability, but am aware of the fact that the ink does not dry as quickly as I’d like it to; will also be taking a waterbrush. You’ll want to use these on watercolor paper; as they take very long to dry on on gesso or glossy surfaces. The ink WILL bleed up through acrylics, as it did so when I applied gesso over dried marks made with my Mermaid Markers. Be aware of that when layering. I was sad to see that these are not lightfast, as stated on a paper within the marker box. That means you can’t exactly sell artwork made with these, as the inks will not stand the test of time. 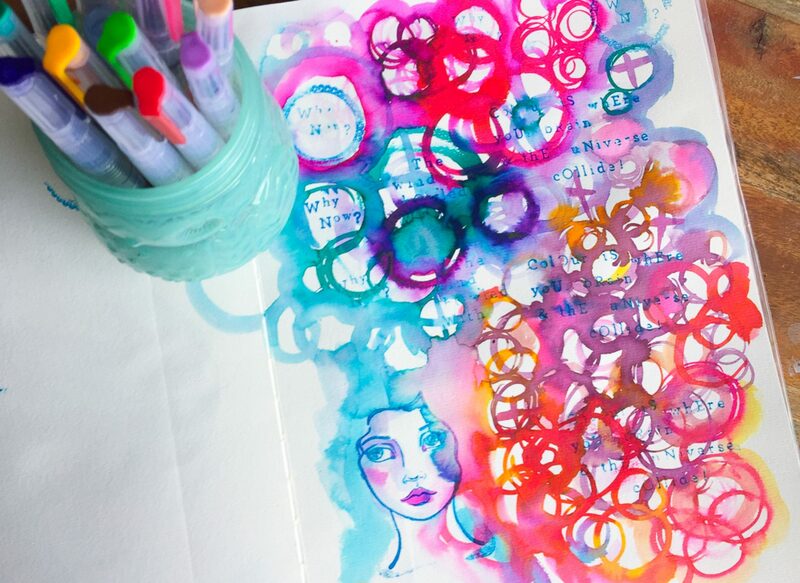 These are made with dyes, but If you’re using in art journals rather than on images to be framed, that’s a non- issue! TL;DR: Good for art journals, not for canvas. Great to take with you, but take a waterbrush too. Will bled through acrylics. Takes a while to dry on acrylic surfaces, best on watercolor paper. Super vibrant colors. Will buy again. 4/5 stars dues to the ink being dye based rather than a professional pigment base. 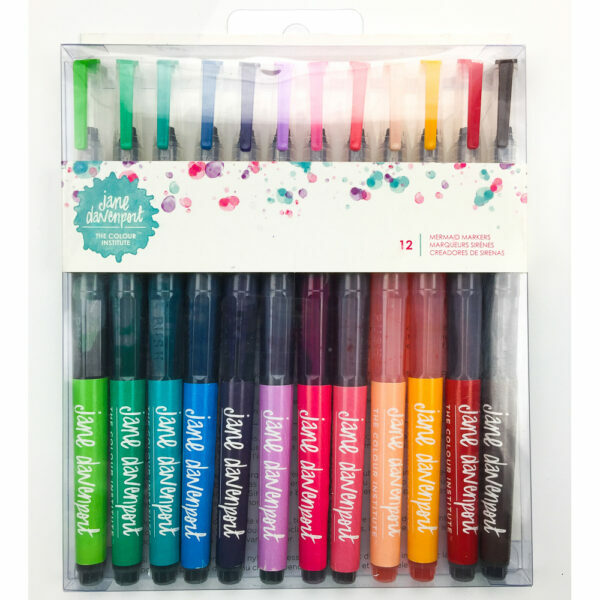 These markers/brushes are the BOMB!! I love them!! Vibrant colors but you can blot to lighten or dilute with water on your paper for a lighter look. It is so relaxing to just draw with them and the ink just flows and flows…..never needing to re-dip in ink. Wonderful concept! Love!!! Incredible! 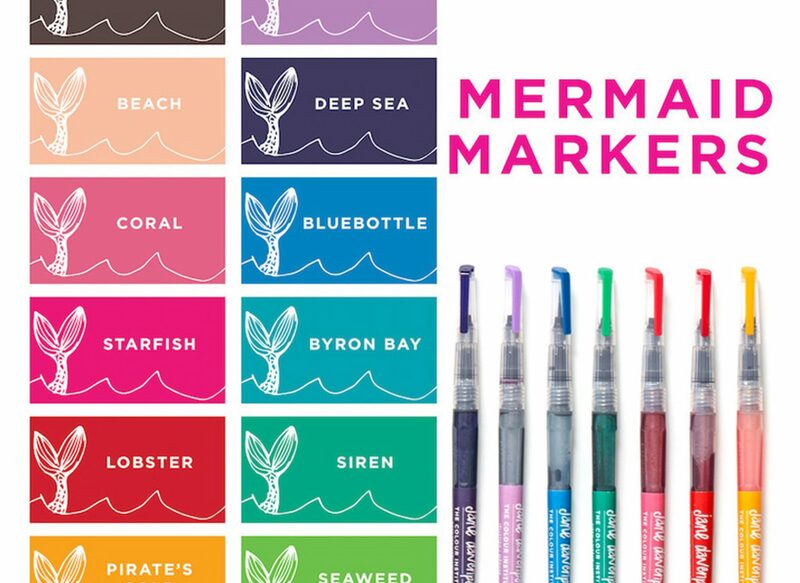 Mermaid markers blend like a dream and the pigment is to die for. 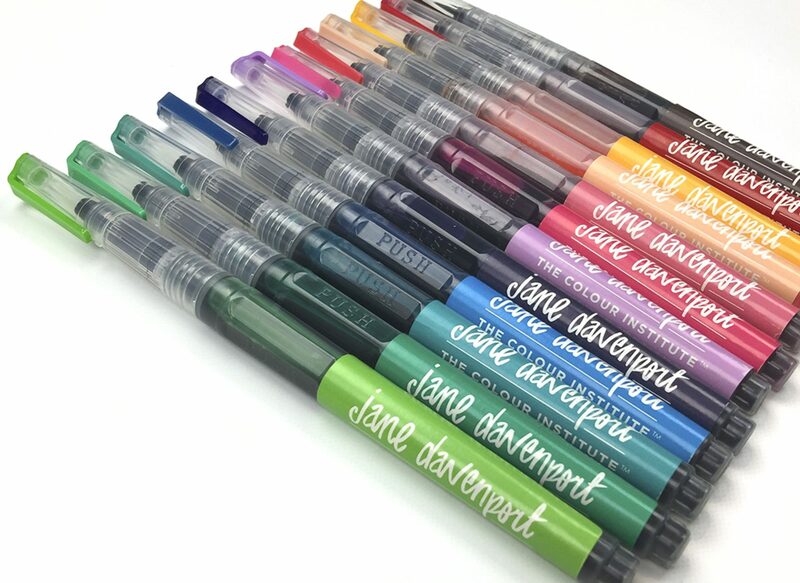 WOW… I’m so in love with these markers…beyond impressive.